Sakari Momoi made headlines this week when, as the oldest living man, he passed away in Japan at the age of 112. The number of centenarians is growing fast, especially in Japan where there are more than 58,000 people aged 100 or over, 87% of whom are women, making the country the world’s leader for over-80s. The global population over the age of 80 is still only about 2% but that’s expected to grow quite rapidly given that average life expectancy was just 69 in 2010 and is projected to rise to 73 by 2030 and 76 by 2050. 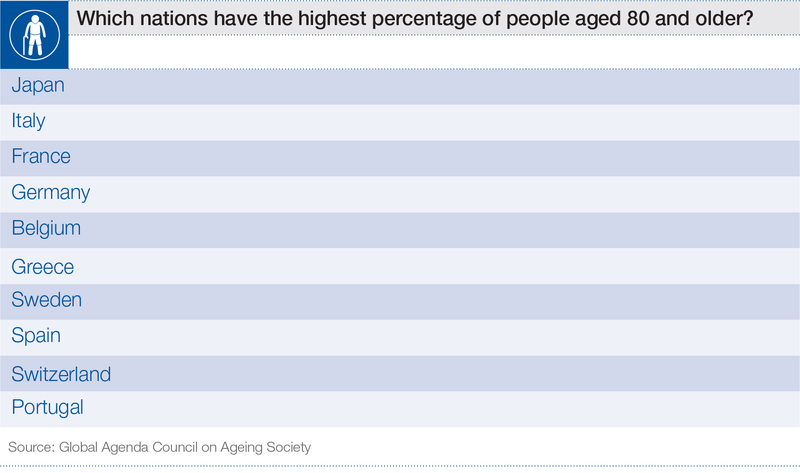 To find out more about the challenges of an ageing population see the World Economic Forum’s Global Population Ageing: Peril of Promise? Author: Donald Armbrecht writes for Agenda.